Title: 'Comitatus Dorcestria sive Dorsttia vulgo Angliae Dorsetshire'. 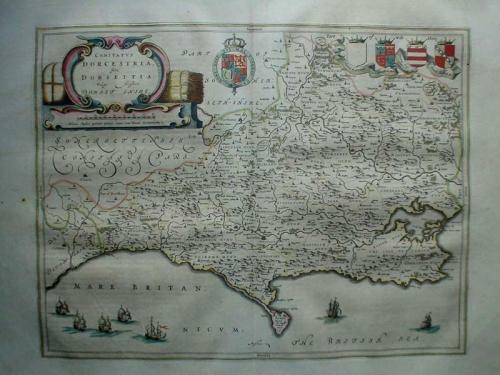 A very attractive Blaeu map of the county of Dorset, finely copper engraved with fine hand original colour and on good quality paper. Latin text on verso. The map is in excellent condition with no discernible flaws.